I've known Nate and Abby since high school, and it was a joy to be able to capture their engagement pictures. 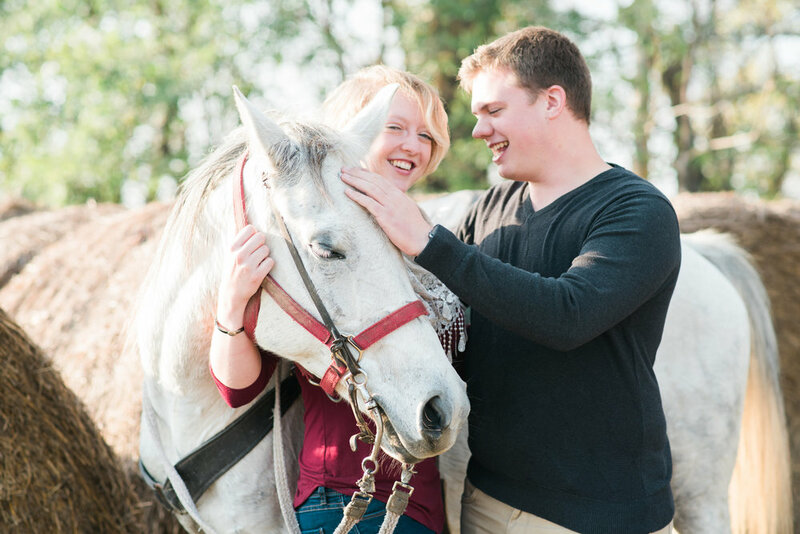 Abby & Nate are avid riders, and Nate actually proposed to her at Rolling Hills Ranch. It was the perfect location to have their engagement shoot. Considering how late in the season it was, we ended up with picture perfect weather. We started the session up in a small field, but then decided to expand their session to an actual ride - yep, I had to go too! Definitely not what I expected! But we had a ton of fun, and captured incredible images.